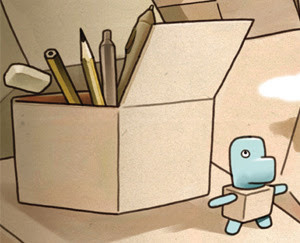 The 9th Puchon International Student Animation Festival (PISAF) is just around the corner! 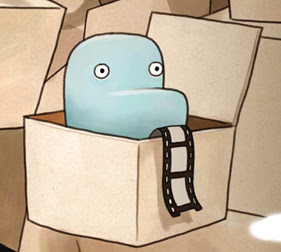 Scheduled are many screenings of animations by students and professionals from around the world. Even a screening of the original animated Transformers will be shown. I'm personally looking forward to the Tezuka Osamu Special which will show all the Atom (Astro Boy) openings and more. In addition to the screenings, there are also workshops, sessions with industry insiders, and a book fair tailored specifically for animation people like you and me. Everybody will be there! If you are interested in learning more about animation in Korea, I think this festival will be a good chance to do just that. If you don't go, you may end up feeling like this cat! 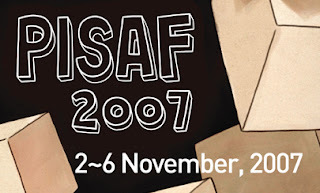 This cat and other images were taken from the PISAF 2007 poster which can be downloaded from the PISAF website. It is a good place to learn much more. I'm going to leave this post up today and over the weekend. Come back Monday for a new post. I have plenty more up my sleeve! i'm volunteer who you meet in Piasf. nice to met you in piasf2007. i'll often visiting this blog. Hey Boo-kyun. Thanks for stopping by! And your English skills are not half bad!